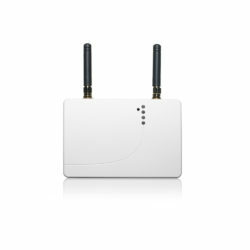 Sikom Living is a smart home solution that helps you save energy without lowering your comfort. 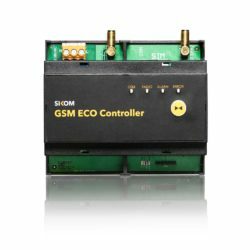 It connects multiple electrical devices in your home through your smartphone, providing a user-friendly interface for total control. Lowering the temperature in your home when you are not present saves energy, which consequently lowers your power bill. Remembering to lower the temperature each time you leave your home can be difficult or tedious. This is where Sikom Living can help you. 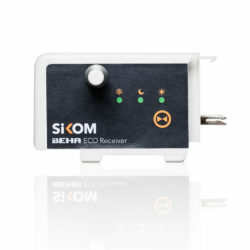 Sikom Living provides you with the tools you need to control the electrical heating in your home. You decide yourself whether this should be entirely manual, automatic, or a mix of the two. Underfloor heating with electric heating cables or heating foil has many advantages as a heat source. A warm floor is a large heat source with low temperature and even heat distribution. This provides a good and comfortable indoor environment. Electric floor heating is invisible and occupies no wall space. 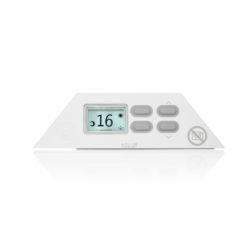 The heat is distributed evenly in the room and provides a comfort that needs to be experienced. Eco Thermostat EP is perfect for controlling heating cables or heat foil at your home.  In the Sikom Living app, we have given you full control of all settings on the thermostat so you can easily set it up at your own discretion. Electrical panel heaters can be found in homes around the world. They provide a very good warmth and are available in different sizes and effects to cover the need for heat in many rooms. 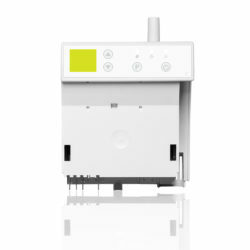 We have made smart plug-in modules for three major manufacturers of panel heaters that covers four brands of electrical heaters. 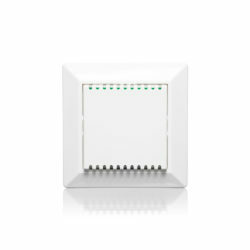 The best way of controlling a electrical heater is by using a custom made plug-in module. We have custom made plug-in modules for three different brands of electrical panel heaters, all of them are high quality manufacturers of electrical heating. Many people answer this question with their family and we can not agree more. 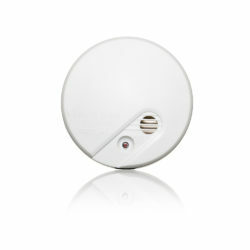 Eco Smoke Detector is an important safety product at your home. This is an optical detector for smoke and fire detection that only has one important task; to save lives. 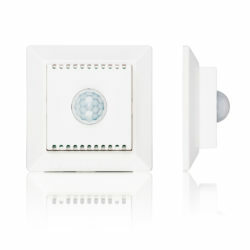 Eco Motion Detector ensures your values and notify if you were to have uninvited guests. 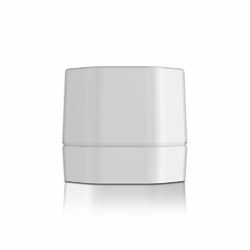 It’s a wireless motion detector that does not protrude in a home. 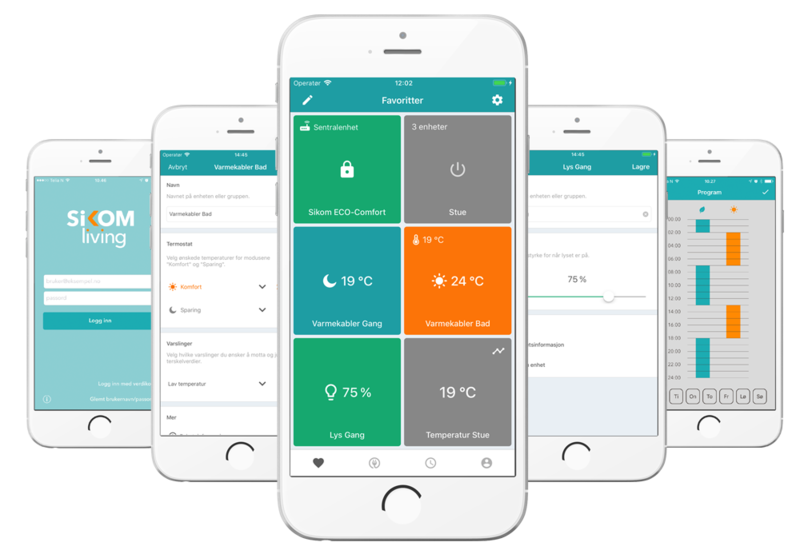 It is the link between the new flow meters and Sikom Energy Managment in the Sikom Living app. 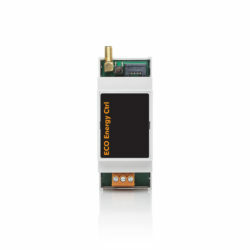 Real-time data on power consumption is fed into the system and can then be used to disconnect power sources such as water heater, heating cables and electric car chargers to avoid peak power consumption. Because different LED lights often illuminate with different strengths, you can insert the light source’s profile into the dimmer so that you get a steady and natural dimming of the light. 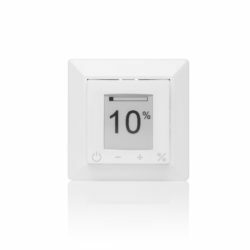 With the Sikom Living app, you can easily control each dimmer or multiple groups of dimmers.